Jurors recently awarded $4.6 million in damages to a woman who suffered personal injury after she was stuck by a needle in a Target shopping center parking lot. Initially, the woman’s attorney offered to settle with the retail giant for $12,000. That offer was flatly rejected, so the South Carolina litigator took the case to trial – with great success. Although it’s probably the retail chain will appeal, if the award stands, it will be one of the largest personal injury verdicts in that region, according to the local clerk of courts. According to USA Today, the incident happened in a store parking lot in May 2014. Plaintiff said she had just gotten out of her vehicle when she looked up to see her 8-year-old daughter picking up a hypodermic needle. 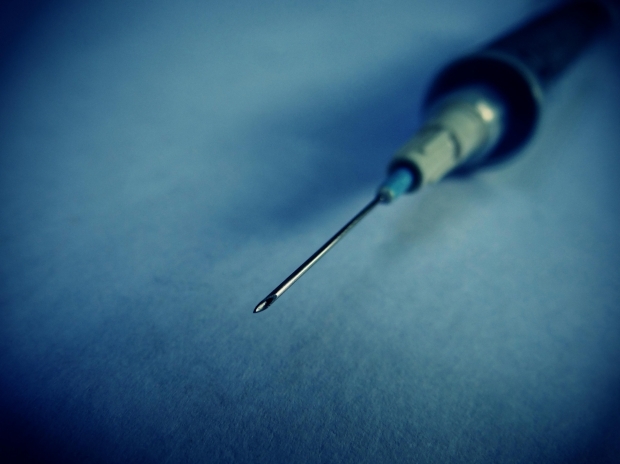 Swiftly reacting, plaintiff swatted the needle away from her daughter. As she did so, the needle struck the palm of her right hand. Immediately fearing the risk of contamination, she reported the incident to an employee in the store. The employee wrote up a report indicating the “customer seemed worried.” Plaintiff was then taken to a nearby hospital, where she was immediately tested for both hepatitis and HIV. Additionally, she was prescribed medication due to her potential risk of contracting HIV. The good news is that thus far, she has not tested positive for either of those conditions. However, the HIV medications she had to take caused her to become extremely ill. She was bedridden for a time. Her husband also needed to take time off work to care for her. Her attorney said that when she first came to him as a client, all she wanted was compensation for her medical bills and the time her husband was forced to take off work. Plaintiff’s attorney said he “tried to be reasonable” with the retail firm. They extended a settlement offer that would have only covered those two costs. However, Target wouldn’t budge. The most the company was willing to pay? $750. He and his client weren’t eager to take the case to trial, but they weren’t backing away. He worked to prepare himself to go toe-to-toe with the retail giant. He now says that the retailer’s hard line stance of refusing to consider a settlement likely prompted jurors to send a message. A representative from Target, however, says the company disagrees with the fairness of the verdict and is weighing a series of post-trial motions and possible appellate options. It’s possible that $4.6 million award could be capped because the bulk was awarded for punitive damages, which can be reduced to a significant degree under South Carolina law. The public response to the verdict has been somewhat mixed. Some assert the mother should not have swatted the needle, but rather had her daughter hold still while she slowly removed it. But of course, in that moment, the reaction of mother is almost instinctual. Fort Myers injury lawyers understand the bottom line is the store owed a duty of care to customers to make sure their parking lots were free of the kinds of dangerous conditions that could cause an unreasonable risk of injury and here, jurors found, the store failed. This case highlights the importance of refusing to accept an unfair settlement offer and being prepared to take a claim to trial if necessary.